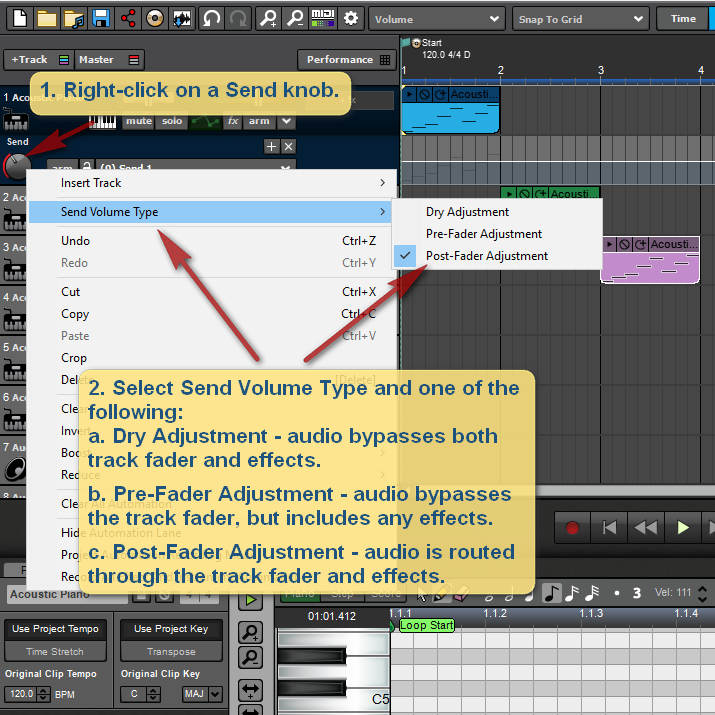 Mixcraft 8 allows you link tracks to control volume, pan, mute, solo, and send controls on multiple tracks at once. Link selected tracks in Mixcraft 8. 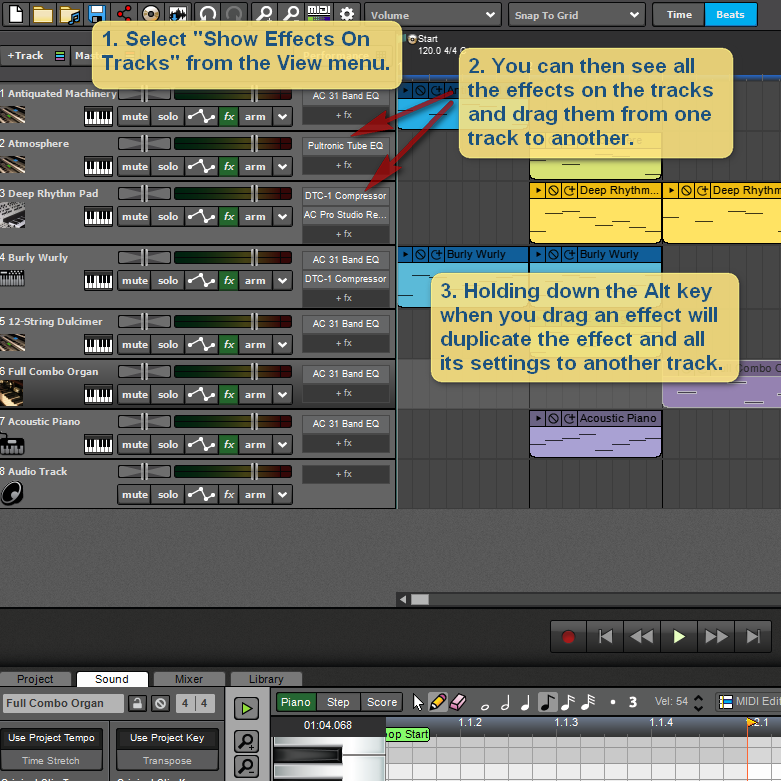 Mixcraft 8 allows you to choose between a light and dark background for the track area. 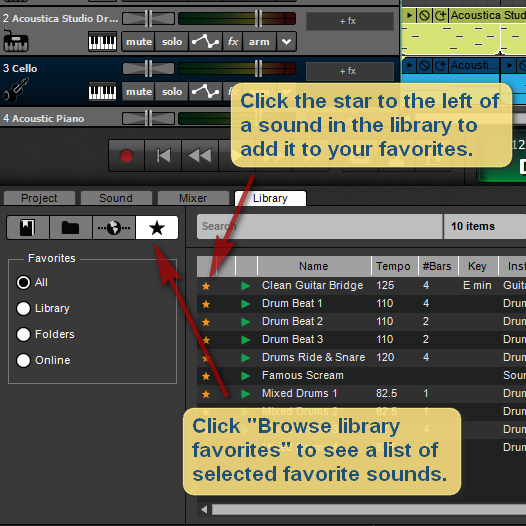 Visual Theme Preference in Mixcraft 8. 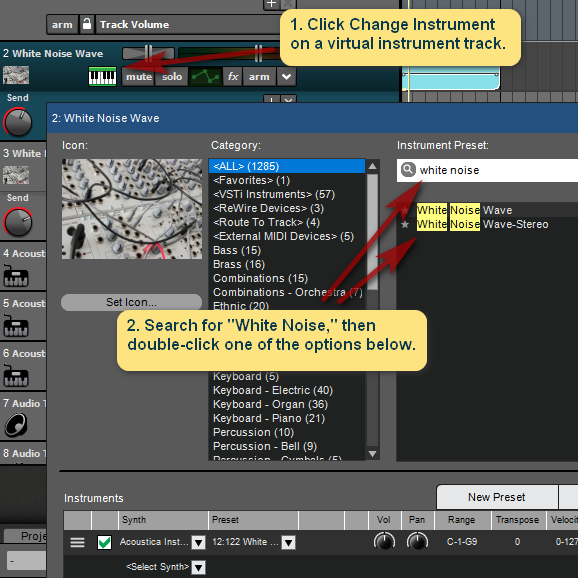 Mixcraft 8 has an integrated Freesound.org search in its library! 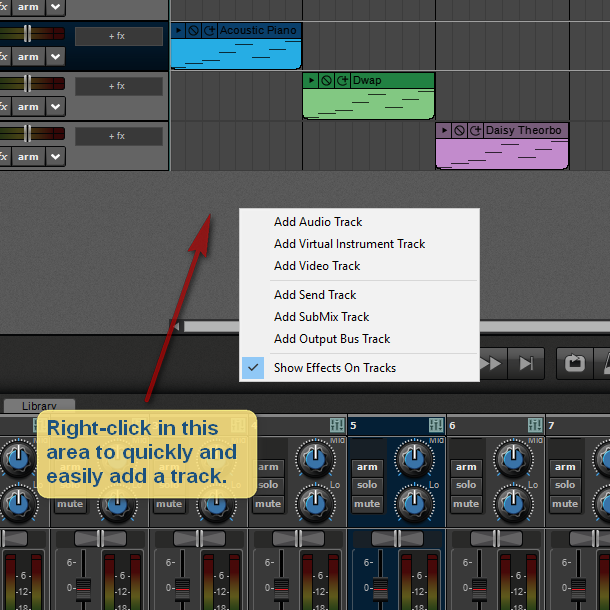 Select "Show Effects On Tracks" from the View menu in order to drag or duplicate effects between tracks. 1. Collapsed submix tracks have a ghost image of the tracks inside. 2. Effects have level indicators. 3. 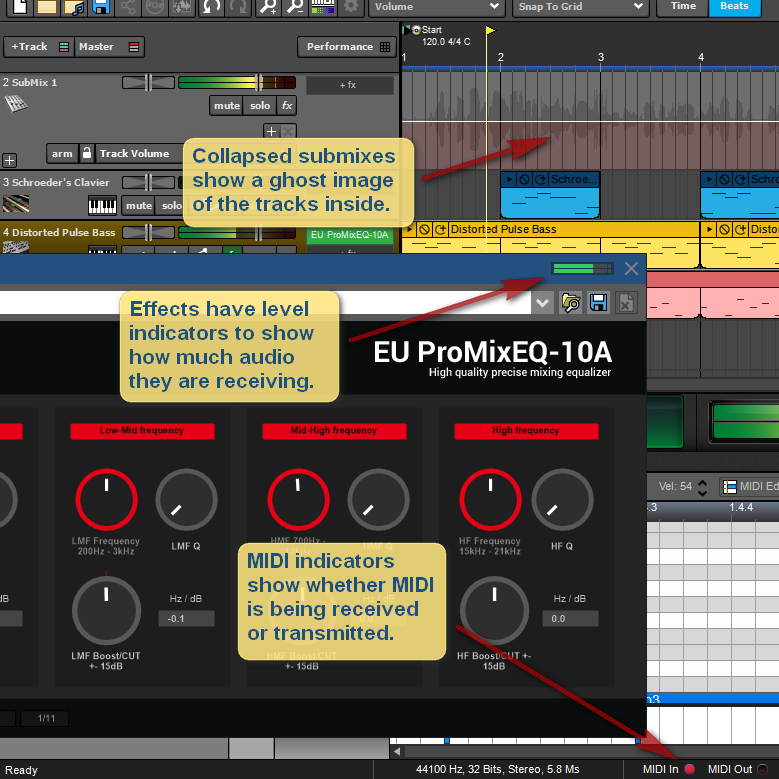 There are MIDI In and MIDI Out indicators. 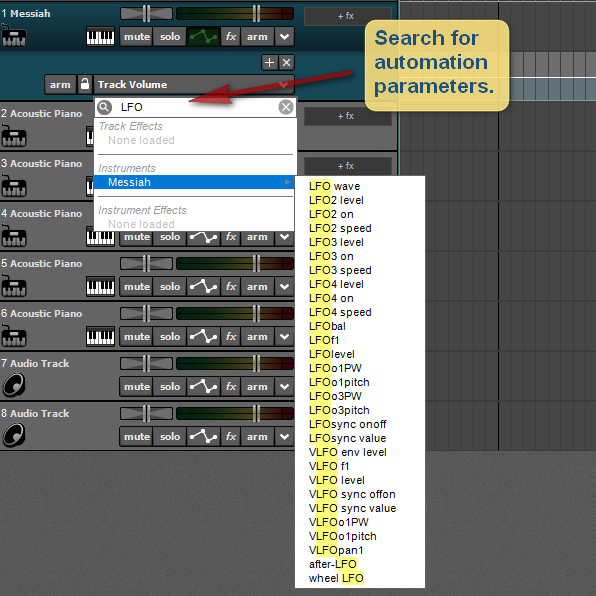 Starting with build 391, you can search for automation parameters. 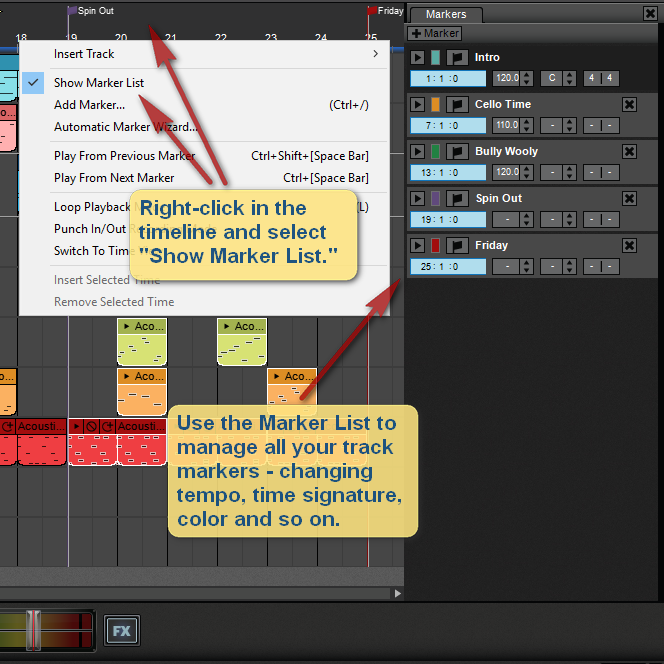 Mixcraft 8 has a Maker List feature that allows you to manage all your track markers in one convenient spot. 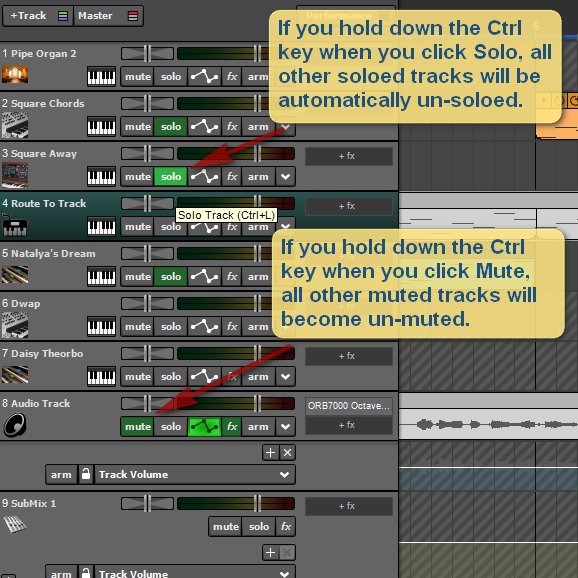 Ctrl+Solo automatically un-solos all other tracks and ctrl+Mute automatically un-mutes all other tracks. This can be really handy for A/B comparisons. 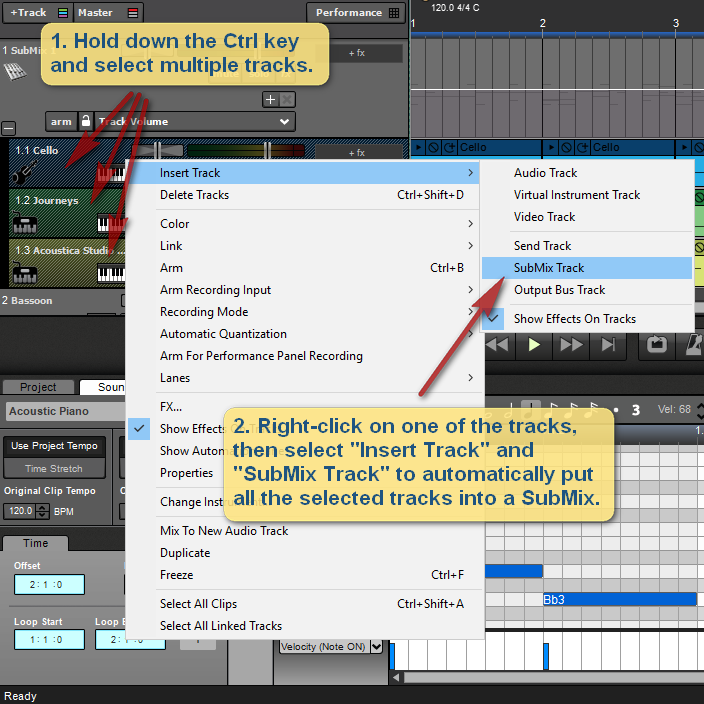 With Mixcraft 8 you can select multiple tracks (hold down the Ctrl key to do this), and then right-click on one of the tracks to add all the selected tracks to a submix. Tip of the hat to aj113. 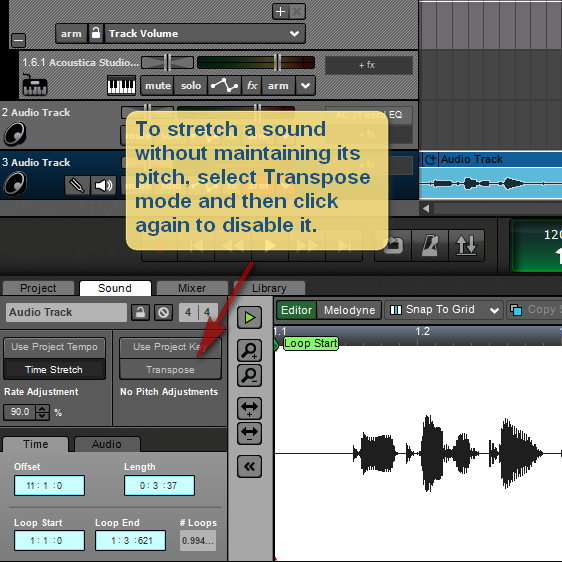 Ever wanted to stretch a sound, and also allow its pitch to change? 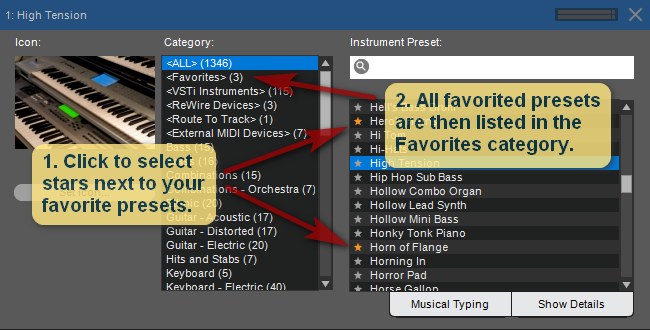 How to add virtual instrument plugins and presets to your Favorites list.